Enhanced with a unique complex containing constituents of the skin's natural moisturizing factor (NMF), this weekly hydration treatment re-establishes the water balance critical for maintaining skin metabolic functions at optimal levels. 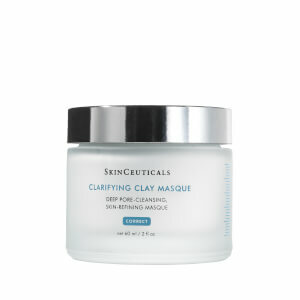 Hydrating B5 Masque plumps moisture-deprived skin to restore a healthy, youthful appearance. 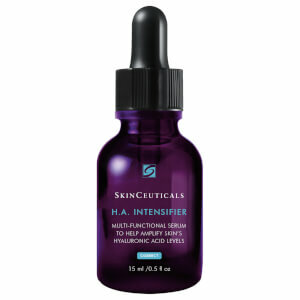 Contains high concentrations of Hyaluronic Acid and Vitamin B5. Optimizes moisture infusion in targeted areas. Improves skin's tissue repair function. Leaves skin supple and smooth. Ideal for use on hands, feet, elbows, knees and any other rough, dry areas of the skin needing additional hydration. Apply a generous, even layer to the entire face after in the evening after cleansing. Allow to penetrate for 10-15 minutes, and then gently massage any remaining product into face. Can also be used on other dry areas such as neck, chest, hands, knees, elbows and feet. Water, Glycerin , Triethanolamine, Carbomer, Sodium Hyaluronate, Phenoxyethanol, Calcium Pantothenate, Sodium Benzoate, Panthenol, Sodium PCA, Urea, Disodium EDTA, Trehalose, Polyquarternium-51. Have only used once since I ordered this mask but really like it. Very hydrating. Put on overnight and leave it on. Wake up nice and smooth and soft! A little goes a long way with this mask. I use it once a week and sleep in it and wash it off in the morning. Really moisturizes and "plumps" skin. I am a huge fan of the whole line! I recently purchased this item and was very disappointed. The masque goes on smoothly. But after waiting 10 minutes, you are supposed to rub the remainder of the product into your skin. Unfortunately, by that point the remainder is sticky and tacky and can't be rubbed in. I did the best I could, then about an hour later, went to bed. Well, my face stuck to the pillowcase because the mask was still so sticky! And no, I didn't put too much on. I couldn't wait to get it off the next morning. When I finally rinsed it off, my face looked and felt no different than before I used the masque. Save your money and use the Skinceuticals B-5 gel instead. It's a lot better! Wow. This mask is fabulous! It's lightweight and good for all skins that need moisture and healing. I love to wipe it off with a moist sponge but leave some on as a moisturizer. It leaves my skin baby-soft. Another winner from Skin Ceuticals.Leaves my skin perfectly moisturized.And I have combo skins.Not oily.Leaves no residue..Absolutely will buy again! iz awsome! i lov it!